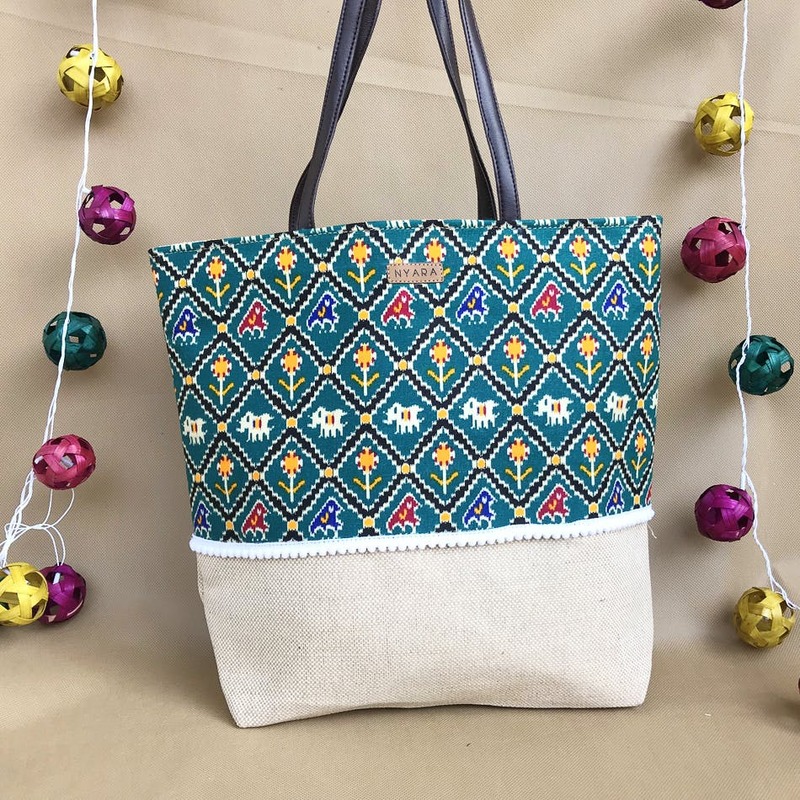 Beautiful, functional, and affordable — Nyara is a Hyderabad-based brand that handcrafts jute bags and accessories. To say, we're crushing on this brand is an understatement. Nyara (which means unique in Hindi) is run by Apoorva — a design graduate from Pearl Academy Of Fashion, Jaipur. She floated this brand with an intent to craft absolutely unique handmade products. From sling bags with proper Kalamkari finishing to wallets with Benarasi Silk accents, it almost looks like Nyara isn't shy from experimenting. Owing to that, what we have today is a fine range of products like giveaway potlis (perfect for return gifts), D-flap pouches, handbags, and decor items like trays, cushion covers, and table mat sets. We are loving how vibrant the colours and patterns are. In fact, the bright Kalamkari, Benarasi Silk or any Indian weave goes perfectly well with earthy jute, and Nyara has quite hammered this art. From all the products we've gawked at, we cannot recommend the sling bags enough, which are apparently their bestsellers too. Plus, the wallets are lovely. The price range begins at INR 40 (for potlis) and can go upto INR 2,000 (depending on what you pick). Soon, Nyara intends to launch handbags with jute and leather along with lampshades and curtains. You can place your order on Facebook or Instagram. Nyara accepts customisation orders too. Looking for a bag or a dining decor product with a fabric or colour of your choice? Go for it!